When you search for a dentist Richmond BC friends, you want to find one who is caring, experienced, and talented in their field. Smile Shapers Dental Clinic brings together talented dentists in Richmond. Our team is experienced and passionate about dentistry and orthodontics for patients of all ages. We will work together with you to help achieve the best oral health possible for you and your family. We hold ourselves to the highest standards of the dental practices so that you can expect to receive the best dental care in Richmond / Vancouver! Have a toothache or a knocked out tooth? Call our Richmond office for emergency appointments. When possible, we’ll see you the same day!. We are open evenings and weekends to handle all dental emergencies! 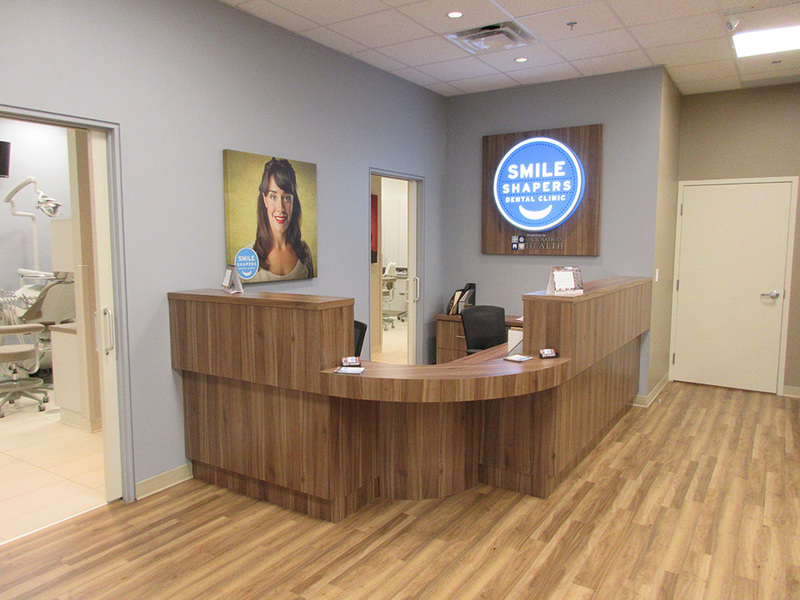 Our office offers a variety of treatment options, from invisalign to traditional braces. Book a Free Consultation with our Orthodontist, Dr. Cho today! Root canal treatment is one of the most common procedures performed in dentistry. This treatment can save your natural tooth and prevent the need for dental implants or bridges. We perform tooth extractions including wisdom teeth removal. Smile Shapers dentists have a gentle touch to fix your teeth with little to no discomfort. We ARE the dentist Richmond BC sees for tooth removal. Dental implant treatment is a great way to replace missing teeth and provides a fixed solution to having removable partial or complete dentures! We’re the dentist Richmond BC comes to for dental implants. Schedule your Free Consultation today! Our team of hygienists will regularly help eliminate the buildup of tartar and bacteria, reducing the chance of gum disease and decay. Make sure to schedule your dental cleaning appointments every six months for you and your family! We offer a wide range of cosmetic dentistry procedures including crowns, bridges, veneers and more! Our dentists will work with you to create a smile you’ll be proud of! Our Periodontist, along with our hygiene team are committed to providing patients with the best treatment.Your gums play an important role in your overall well-being. Regular exams can identify gum disease before it destroys the soft tissues in your mouth. Conveniently located in the Richmond Walmart beside the Pharmacy and Medical Clinic, our Richmond Dentists serve patients of all ages from children to adults. Whether you come for emergency treatment, or consult with us for veneers or whitening, you’ll find an excellent team of Richmond dentists whose top priority is to care for you. As the dentist Richmond BC is happiest with, our staff has a wide range of experience, so we can offer a variety of services for you. We can help shape and beautify your smile!